Jitendra qualified at the European School Of Osteopathy (ESO) in 1988, where he was a lecturer in clinical neurology for over twenty years. He now concentrates on his clinical practice treating musculosketal pain, shoulder pain, cervicogenic headaches and neck and low back pain. He is married with two young children and enjoys family life. Mr Vara is registered to treat patients covered by most private healthcare providers. Gail graduated with distinction from the British School of Osteopathy in 2004 and now works at clinics in Seaford and Eastbourne treating a wide range of patients. She particularly enjoys providing care through pregnancy and for headache sufferers. In the past she has taken part in long distance running, yoga and competitive swimming, but now her time is spent exercising her dog and looking after her family. James is a graduate of the British School of Osteopathy, and a member of The British Medical Acupuncture Society. He lectures in clinical neurology and osteopathic technique at Surrey Institute of Osteopathy. James’ practice experience includes working within a GP surgery, and practicing alongside physiotherapists and podiatrists, he works in the Coulsdon and Seaford clinics. He treats using a mainly structural “hands on” approach, complemented by ultrasound and acupuncture. He has experience in the treatment of many conditions which include sports injuries. Liz Tollfree graduated from the European School of Osteopathy with first class honours in 2008. In addition to her work at Seaford Osteopathic Clinic, she also practices at Churches Osteopathic Practice in Horsham, and at Rustington Therapy Centre. Liz works using both structural and cranial osteopathy. She is also qualified in sports massage, and her postgraduate training includes therapeutic ultrasound, paediatric and maternity osteopathy. Liz is experienced in treating people of all ages, including babies and children, pregnant and post-natal mums, older people, and patients with occupational strains and sports injuries. 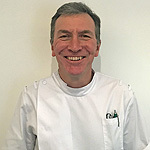 Paul, BSc (Hons) Ost is a graduate of the European School of Osteopathy in Maidstone and is fully registered with both the General Osteopathic Council and the British Osteopathic Association. He treats all ages from babies and children up to more mature patients, using a variety of techniques that are tailored to that individual person, but his long involvement in athletics has given him a special interest in treating sports injuries. He is a trained Sports Massage therapist and a full member of the Association of Physical and Natural Therapists. He practices at clinics in Seaford, Coulsdon and Dartford. 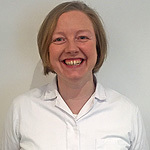 Bryn qualified from the European school of Osteopathy (ESO) in 2000 and works in three different practices throughout Sussex (Seaford, Worthing and Rustington). He enjoys treating a whole range of conditions, but particularly likes maternity and paediatric work. He uses a range of techniques from Cranial Osteopathy to strong articulations depending on the needs of each patient. 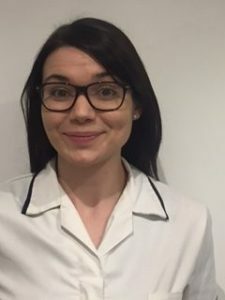 Natasha graduated with a BSc Honours degree in Osteopathy from Oxford Brookes University, and has since worked in Seaford and at her own practice in Hastings. 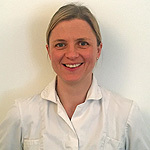 She is a qualified Sports Massage Therapist, and has postgraduate training in Cranial Osteopathy. Natasha enjoys treating all problem areas and welcomes a diverse patient list. She does possess particular interests, however, in Elderly Care, Maternity, Post Natal and Paediatric care, Arthritis and Occupational Strains. Jack graduated from the British School of Osteopathy, and is registered with the General Osteopathic Council. 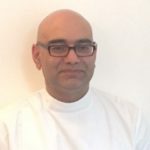 He has recently joined Seaford Osteopathic Clinic and a practice in Hove. Jack is very much structural in his approach, meaning treatments consist of hands on techniques including manipulations, articulations and soft tissue work, he also has a keen interest in exercise and rehabilitation, and tries to give patients the knowledge and tools to help further aid their own recovery. He has experience treating people of all ages with varying conditions, but given his sporting background ha has a particular interest in treating sport and exercise related injuries. 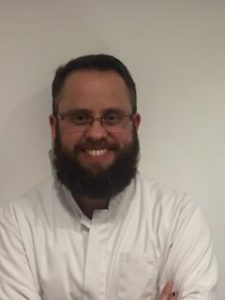 Joshua qualified from the University College of Osteopathy (formerly the British School of Osteopathy) and is registered with the General Osteopathic Council. He uses a structural approach through treatment which involves methods such as manipulation, articulation and soft tissue techniques. Joshua has experience treating patients of all ages and from various backgrounds. But he has a particular interest in sports related issues and is keen on educating patients about exercises which aim to aid recovery.